Control Your Asthma | Houshang Farhadian M.D Inc.
An estimated 12.5 million Americans suffer from asthma and the number is increasing each year. This condition is a chronic, life-long disease. Even though there is no cure, in the majority of cases, it can be brought under control. Asthma is hereditary. Researchers have not been able to identify a single cause for the disease, but rather believe there are many factors (multifactorial), as opposed to one specific etiology. However, they believe a defect on chromosome 5 and probably 6 to be present. Between 50 to 75 percent of asthmatics suffer from allergies. Therefore, more than half of the time asthma is allergy related. Exercise, over exertion, viral or bacterial infections and breathing cold air have been found to be major causes or triggering factors for asthma. This condition is more severe and prevalent in African Americans and low socio-economic group. There are several deaths every year in the United States due to asthma, and despite progress in treating the condition, the number of hospitalizations and death in severe asthmatics has been increasing. symptoms, such as sneezing, itching of the nose, eyes, throat, and nasal congestion and discharge. It’s important to know that, in chronic asthmatics, the condition is worsened when they have a cold and, especially, a sinus infection. Without treatment of the infection, the asthma does not improve. In addition, there are some patients who suffer from "GE Reflux" or GERD, in which the condition of the stomach content and acid backs up in the esophagus (food pipe). 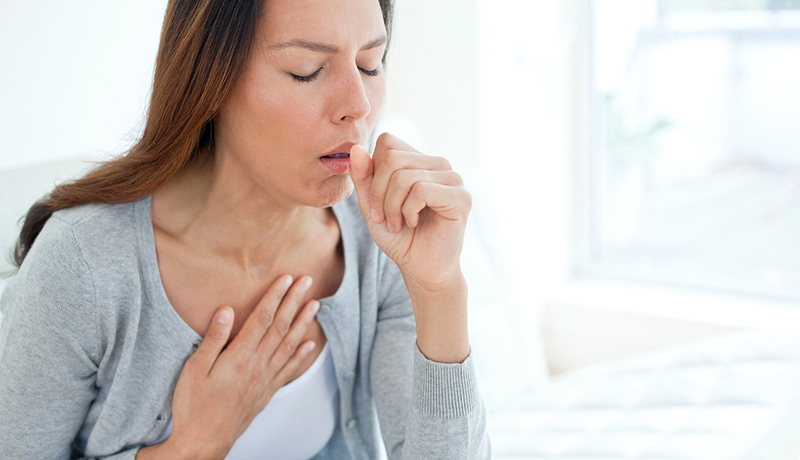 This condition causes coughing and wheezing. Symptoms only subside by treating the reflux. Some drugs, such as ACE inhibitors that are used for heart conditions and hypertension, may cause a constant dry cough, which will not be controlled without discontinuing these medications. The treatment of asthma is preferred to be under the care of a specialist. Avoidance and precautions are important. Avoiding dust mite (present in house dust), cockroaches, pets with wool, and birds are some of the priorities. Cold air, especially running in dry cold air, must be avoided. The most effective therapy for chronic asthma are anti-inflammatory agents. Now there are new non-steroid agents available in the category of antileukotrienes, such as Accolate and Singular, that are very effective with minimal side effects. Finally, if the cause of asthma is an allergy, the cause should be recognized by an allergist and treated accordingly. There are several exciting researches and studies underway that may result in invention of new therapies that would be more effective and convenient for treatment of this mysterious disease.